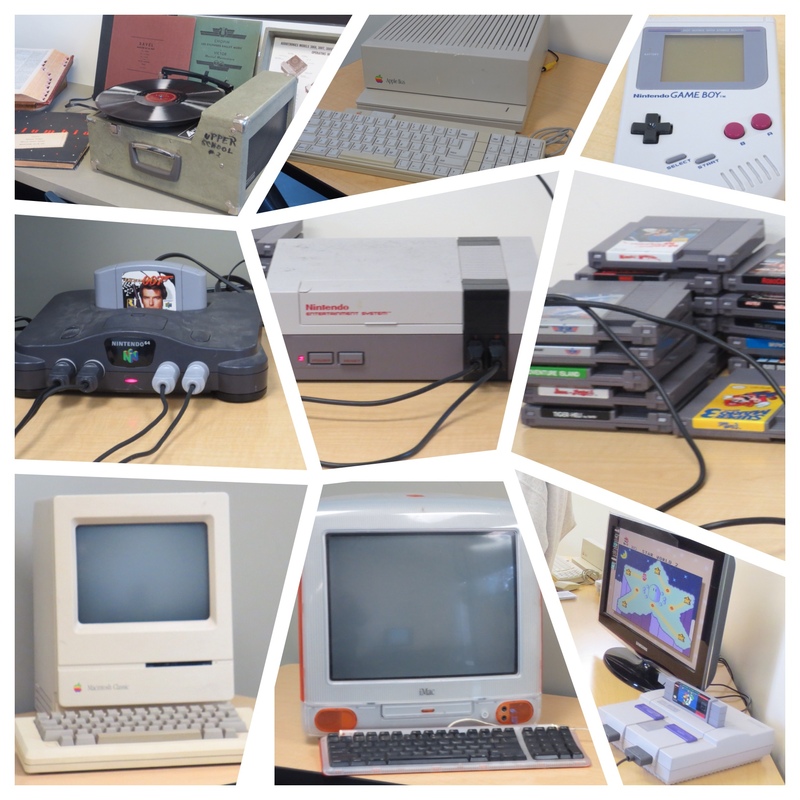 To wrap up Teen Tech Week, perhaps we saved the best for last… the vintage tech petting zoo! We have old computer and gaming systems on display for all to enjoy. There’s even something called a record player! The author of this post was very excited to play Super Mario, and also very pleased that she can still defeat an entire Mario world without losing a single life. Ah, the 90s…Tetris battle anyone? What’s more fun than taking stuff apart? Nothing! Today’s demo for Teen Tech Week was “Take IT Apart,” where Tom and Michael provided lots of old computers and tech gear for students to disassemble. Amelia did an amazing job taking apart an entire desktop tower, while Adam turned a QWERTY keyboard into an ABCD keyboard. By the end of the day, there was nothing but a vast wasteland of motherboards and metal… when can we do it again!? 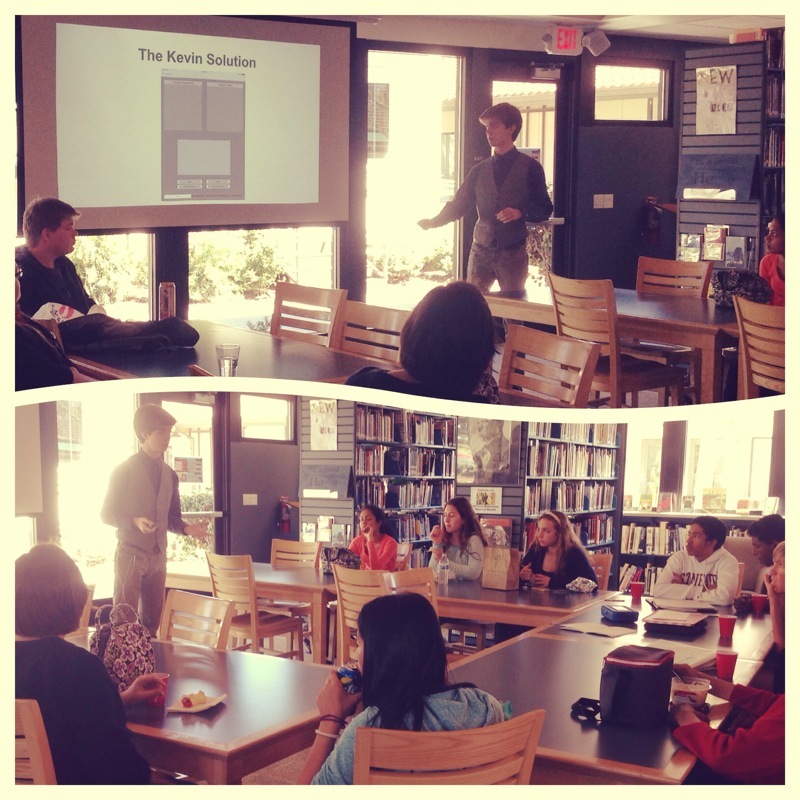 Continuing with Teen Tech Week, today we had David Myers as our Leadership Lunch Series speaker. He told us all about the iOS app he developed from scratch with his friends. Impressive! 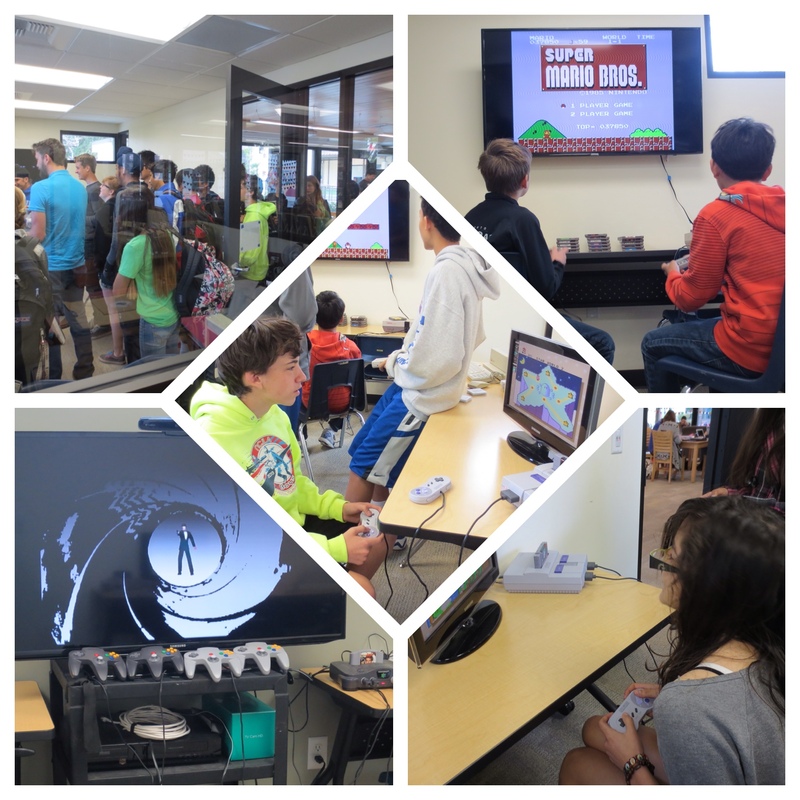 Teen Tech Week is in full swing! On Monday, Tom Wroten and Bruce Baird showed kids how to learn code with Codecademy, and today after our Ted Tuesday featuring inventor Jay Silver, Tom had a hands-on demonstration of Silver’s invention: the MaKey MaKey. There was a piano made of fruits and veggies, and a PacMan controller made from tin foil. Technology! As part of Teen Tech Week here at Matthews Library, we had an excellent TED Talk from inventor Jay Silver. Jay is the creator of MaKey MaKey, a device for hacking everyday objects, like bananas and pizza! Behold! The evolution of the Renaissance plant booklets! Hear ye, hear ye! Our middle schoolers spent 5 days in the library researching plants and their uses during the Renaissance. Not only did they learn about the origins of the plants, but they also learned about uses, whether they were poisonous, how they were used in cooking and medicine, and even made sketches of the plants. They took all this information and created booklets for display at the Renaissance Faire on Friday. Great job, guys! Don’t forget! Next week is Teen Tech Week. Tom (the Tech Guy! Hey, Tom!) will be doing some great workshops in the library. Ever wanted to learn code? Or wondered what it was like to be a gamer in the early 90s? Now’s your chance! 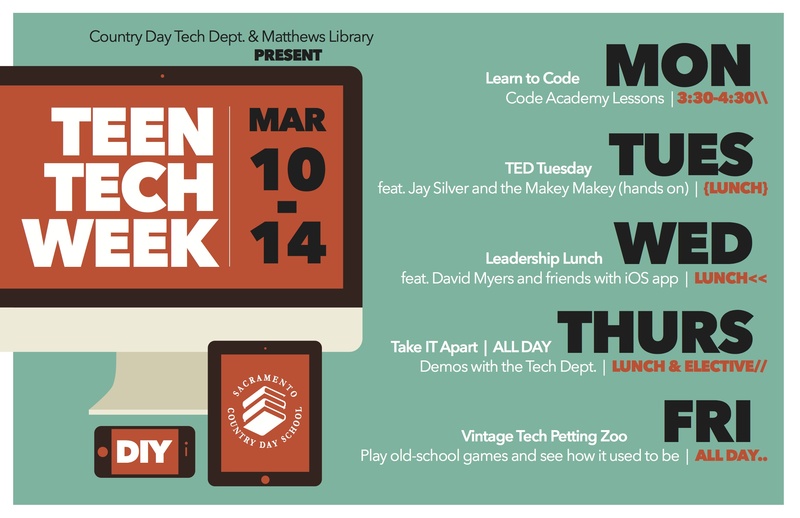 Our TED Tuesday is technology themed, and our Leadership Lunch on Wednesday will feature David Myers (and friends! ), and they will be talking about an iOS app they created for middle school. Friday was Read Across America Day. From 2:30-2:45 we had an all-school read. Kids all over campus sent us pictures of their classes reading. They will be richly rewarded with candy! Dr. Seuss popped in for a visit, too!